Airport Windsock (or Wind Cone, Wind Direction Indicator) is a device which helps pilots to identify the direction and speed of the wind. WDI is a conical tube made of textile and mounted on the stick with appropriate heigh. 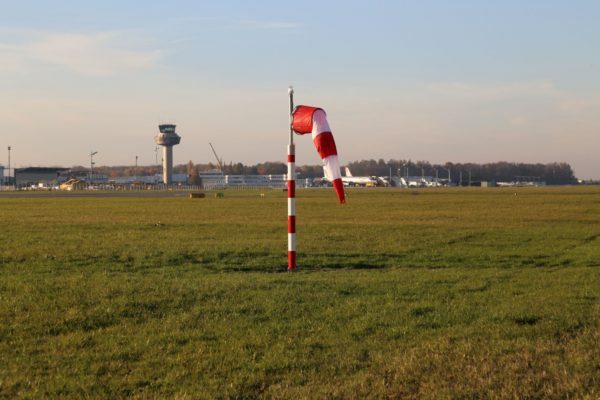 Wind Cones are usually installed in the central part of the airfield near a runway. 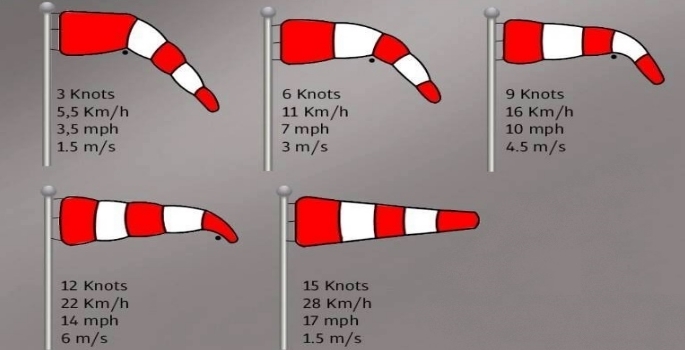 Windsocks can be of different colors preferably white and orange or red. White and orange stripes indicate the strength of the wind. 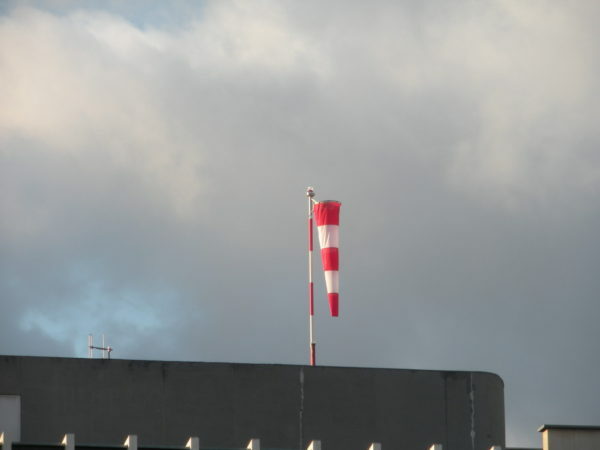 Longer windsock – stronger wind. White and Orange stripes show the speed or strength of the wind. Windsock should be illuminated if airport provides night flights. WDI can be of different height and size. It depends on manufacturer specification, length of runway, category of airport. However, it should meet standards provided by ICAO or FAA. 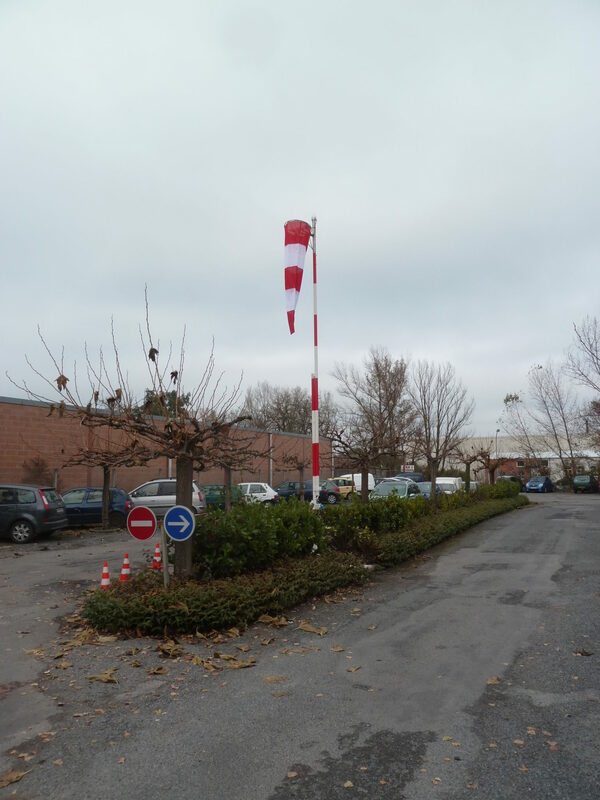 According to ICAO Annex 14, the length of airfield windsock should be at least 3.6 m and of 7.4 m heigh. S4GA offers ICAO and FAA compliant illuminated wind directional indicator powered by solar panel. 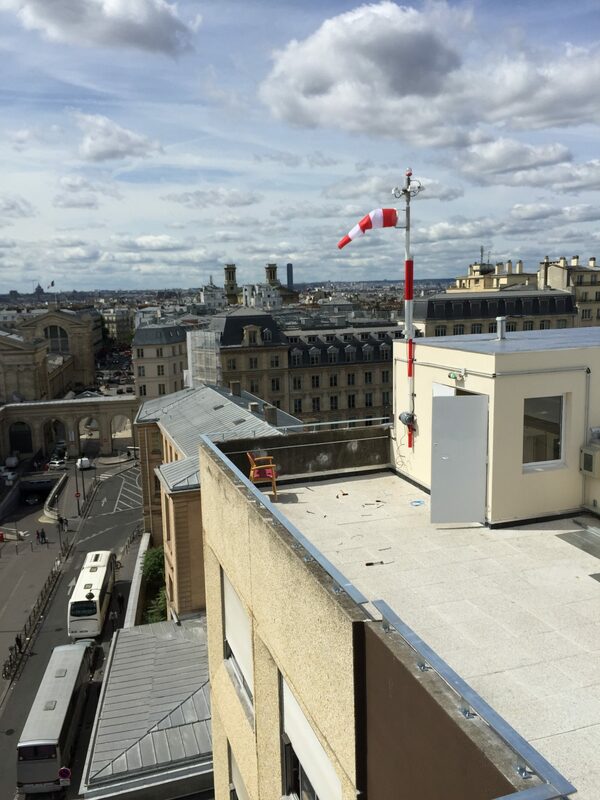 Solar WDI can be optionally integrated with ALCMS (Airfield Lighting Control and Monitoring System) which allows airport personnel to remotely control illumination od WDI from the Tower. S4GA Wind Direction Indicator is easy to install and requires no special devices for assembling and mounting. 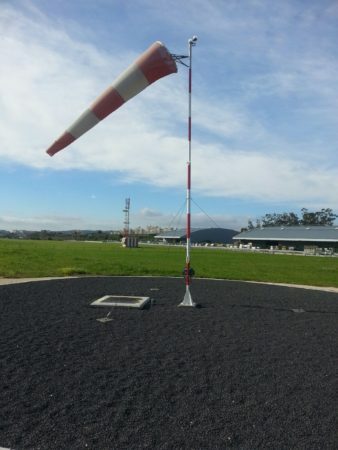 HEIGHT: The wind direction indicator should be in the form of a truncated cone made of fabric and should have a length of not less than 3.6 m and a diameter, at the larger end, of not less than 0.9 m. It should be constructed so that it gives a clear indication of the direction of the surface wind and a general indication of the wind speed. COLOR: The colour or colours should be so selected as to make the wind direction indicator clearly visible and understandable from a height of at least 300 m, having regard to background. Where practicable, a single colour, preferably white or orange, should be used. Where a combination of two colours is required to give adequate conspicuity against changing backgrounds, they should preferably be orange and white, red and white, or black and white, and should be arranged in five alternate bands, the first and last bands being the darker colour.